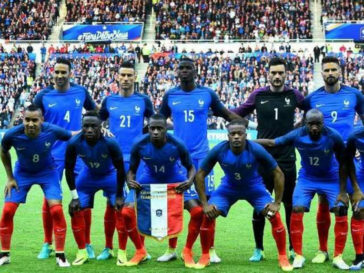 The idea got planted when I switched on my TV for the 2016 Euro Cup opening match, For a second looking at the French team in the match i got confused whether it was an Afro cup. Does Race or Ethnicity has relationship on how you perform in a particular sport, What Inherent Traits stand out with a particular race/ethnicity/group of people which might tilt a particular sport in their favor. How to read the sample chart…. The trait needed most is highlighted in green, the 2nd most trait needed is highlighted as yellow and the 3rd most is in Red. A particular sport may need a unique trait (i.e Shot Put ) or a combination of traits (i.e Rugby Seven). ~2300 individual athletes won medals (either Gold/Silver/Bronze) in Individual or Team Events. Here each athletes medal,countries cultural inclination to the sport, each countries sporting infra,each countries is accounted. Why Infra,Population & The Sports History in the Country…. i.e To compare Afro American Athletes with African Athletes in a particular event it is fair to factor in Infrastructure behind the athlete. Well there are 4 broad races, but Olympics is no fun without maximum participation and teams hence included as many ethnic groups I could research based on modern era. Tagged Ethnicity, Fastest Athletes, Olympics, Olympics 2016, Race, Rio 2016, Skillful Athletes, Strongest Atheletes. Bookmark the permalink. How to get sharp images from Tamron150-600 mm Lens ?